Forget the delays. Gran Turismo 5 is worth waiting for. And it's finally getting ready to peel out of the garage. At a behind closed doors meeting at the E3 gaming expo, Gran Turismo designer Kazunori Yamauchi showed off the game. GT5 has been in development for years now, first getting revealed at the 2006 E3 event. But, those years of toil are readily visible in the game. There are over one thousand cars, divided into two classes: Standard and Premium. The standard classes are GT favorites like the Lamborghini Countach or the Ford Mustang. The Premium cars are newer automobiles like the Ferrari Enzo or the Lamborghini Gallardo. Those Premium cars will be the only ones that will featured "panel separation" and deformation. The developers have created fully modeled interiors for the Premium cars, as well as doing detailed modeling for the car's undercarriage and even the exhaust pipes! The Standard cars apparently won't have the exact interior modeling. For example, an Enzo's interior will look like the real deal, but your typical Mustang's will look like exactly like Mustang's. This obsessiveness over detail, however, is exactly what players want from a new Gran Turismo. The attention to detail shows in new additions like smoke illumination, collision sparks and kicking up debris. The detail is also readily evident in the Travel Photo Mode that lets players travel to locales like Japan or Italy and snap pictures in pictoresque spots like the Kyoto Gion. But it isn't only detail that the developers have been working on. The new "My Lounge" feature gathers your GT racing friends from your PSN friends list and creates a place where players can race, chat and watch others race. Each player gets his or her own personal lounge. All this detail can't be cheap. And Yamauchi is reluctant to talk about the game's final price tag. Previously, he mentioned that it cost US$60 million. "I was worried more people were more interested in its budget than Gran Turismo," Yamauchi said, declining to reveal the game's final budget. 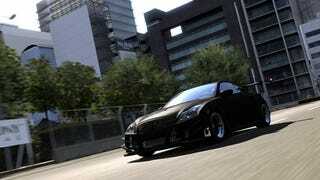 Gran Turismo 5 will be out this November.